Basically, the more you install plugin on your WordPress blog then it will affect the speed of your blog, because the plugins need time to load. But even so, there are some plugins that I think is required installed on your woedpress website. There is a definite 4 plugins I install on my wordpress blog in used to optimize adsense. Th blogs which is used for adsense should not install any plugins, because there are some plugins that violate Google's webmaster guidelines, and usually it is used for SEO. But that does not mean the SEO plugin always breaking, but it all depends on how we use the SEO plugin. There are several SEO plugin that can generate duplicate title in search engines. Well, that plugin as it could violate Google's webmaster guidelines and you can not make a duplicate title that not really relevant to the original post. This plugin is very important because it serves to prevent spam comments made by the robot. Akismet plugin is installed by default in WordPress blog, it's just that you have to activate it with the API Key. And to get the API Key for free you have to create an account on wordpress.com first, then create a "Personal Free Account", then setting up the cost price to :zero". So you will get the API Key for free without having to pay. This plugin is very important because it serves to prevent attacks of AutoBlog who want to steal your content automatically, or so-called Auto-Generated Content. So you can use this plugin, you should direct feed from your wordpress blog to using FD Feedburner plugin, then in your Feedburner account you have to make "Summary Feeds" or "Feed Short" so the thief can not steal the content of your article every time you update your new article. This plugin is very important because it serves to submit sitemaps to 4 major search engines like Google, Bing, Yahoo and Ask.com. In addition, this plugin will submit your article to the major search engines every time you update the new article. The plugin "Google XML Sitemaps" automatically generate "XML Sitemap Special" which will help crawlers (search engine robots and adsense crawlers ) to see the structure of your website content and its contents are complete, so the adsense ads can appear relevant and easy to find your article by user in search engines. This plugin is very important to optimize your adsense earning, especially to increase the CTR (number of ad clicks) legally. Because this plugin has ad placement options are manifold variations that can match to the layout of your site. Or you can also use other adsense plugin, for example, "Google Publisher Plugin". 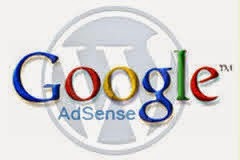 However, in order to to use the Google Publisher Plugin works you must first associate it with your adsense account. (I) But if your wordpress theme that is equipped with features for ad placement adsense, then this plugin does not need to be installed. Four plugin above are the main plugin or Principal Plugin for wordpress blogs are used for adsense optimization. While other plugins in my opinion is optional, because it depends on the needs of each site, mainly due to differences in the use Wordpress Themes and plugins for other uses. Thankyou.